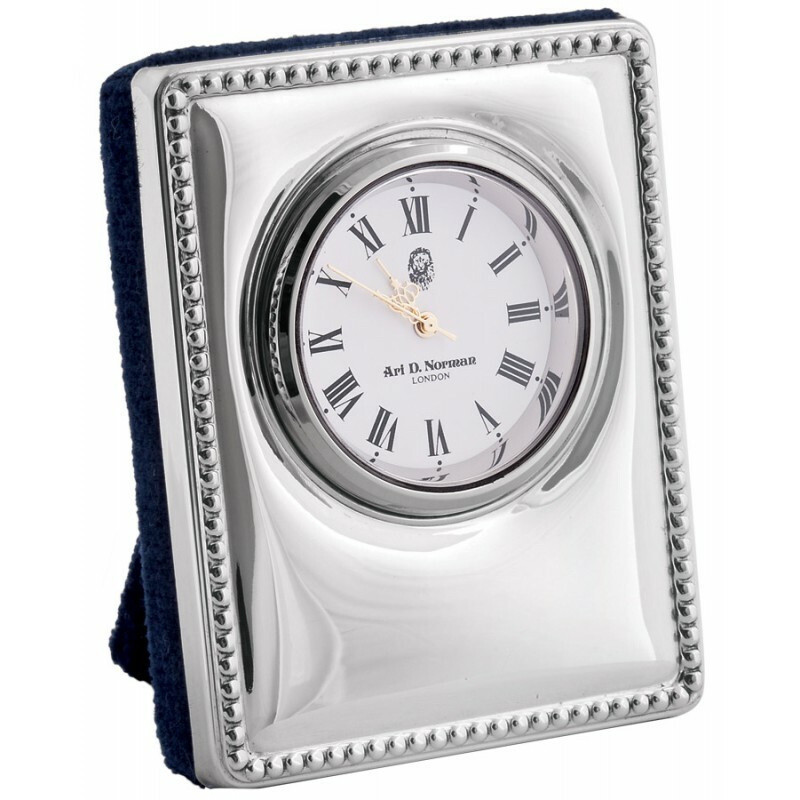 An exquisite hallmarked sterling silver timepiece that will make a practical addition to your daily life now, plus become a future family heirloom of tomorrow. 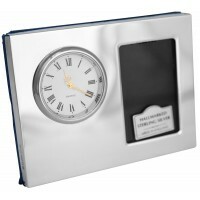 Give as a thoughtful wedding gift or anniversary present. 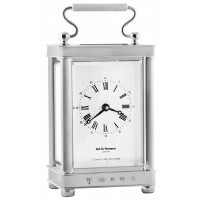 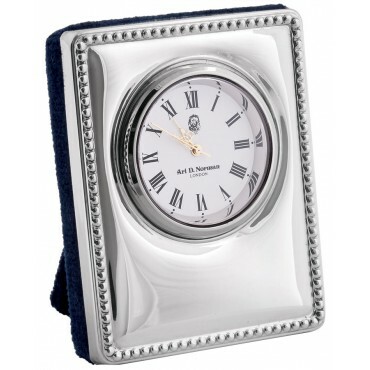 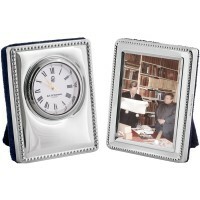 Comprising a British standard quality assured silver clock with beautiful beaded edge border, a soft blue velvet back and a white clock face with black roman numerals and a German movement.